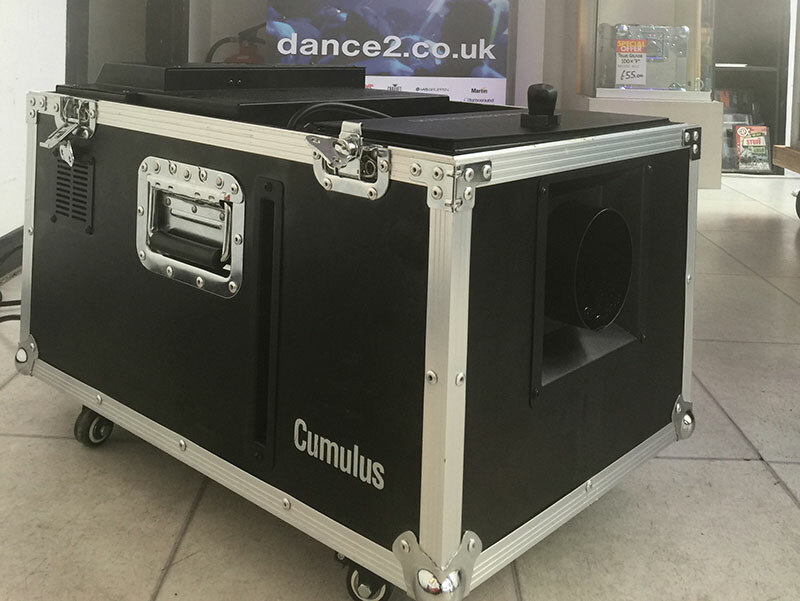 Guildford proudly take delivery of the new Chauvet Cumulus low Fogger to be available for hire from £59. Cumulus is an event-ready, low-lying fog machine that creates thick clouds that hug the floor without the need for dry ice. The onboard ultrasonic agitator converts distilled water into a thin mist. The unit’s fast heat up time allows for quick operation and fog on demand. It’s rugged flight case makes transportation a breeze and locking casters prevent accidental rollaways. Cumulus can be controlled with the on board digital display or DMX.